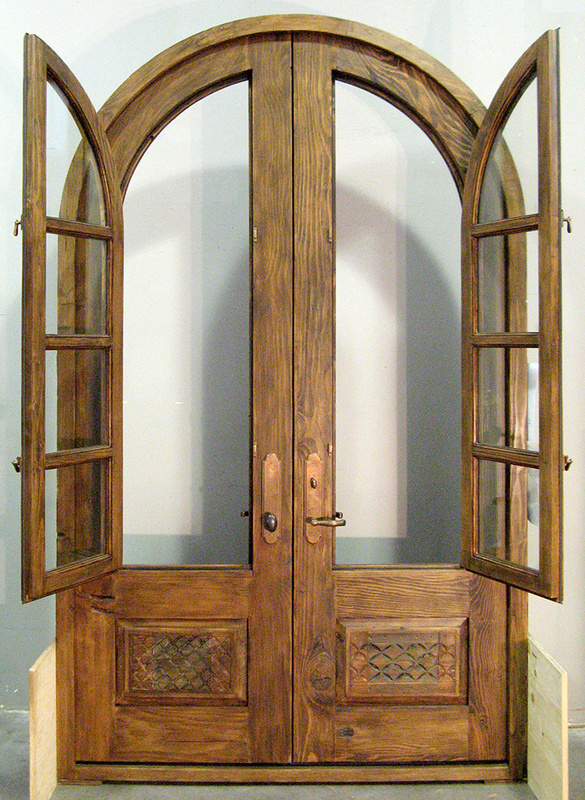 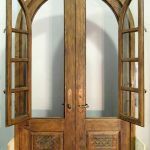 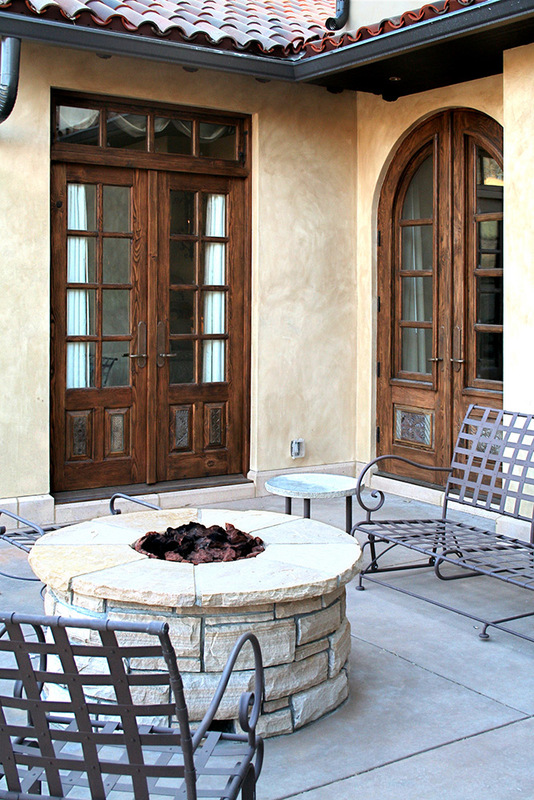 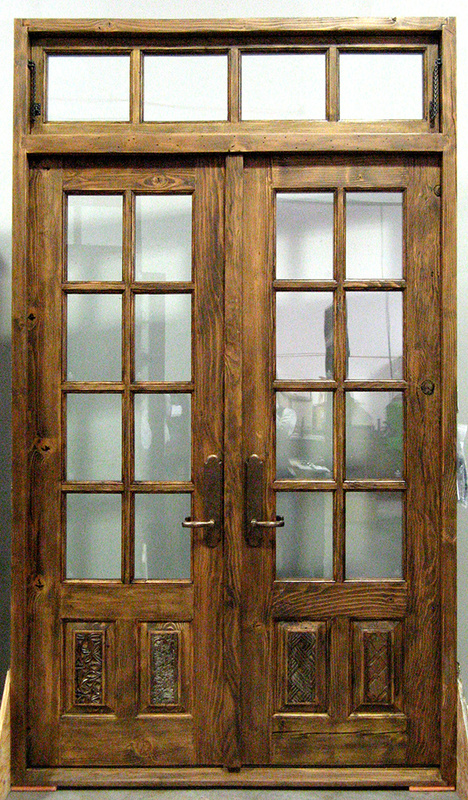 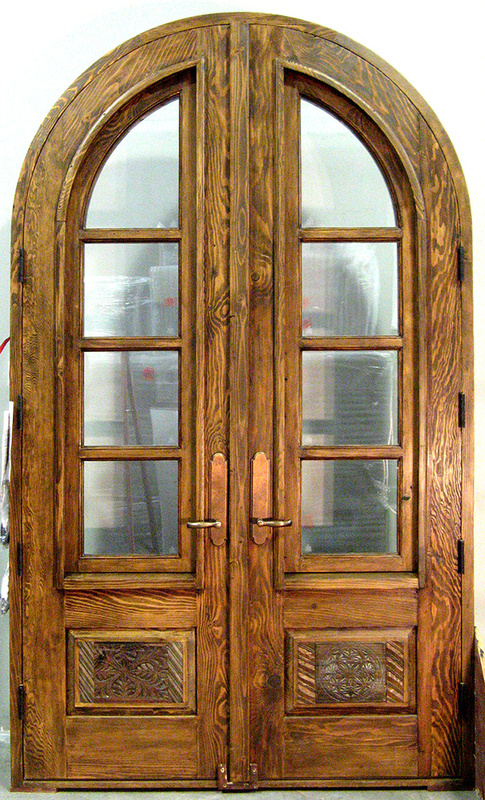 These custom French doors are set with carved antique panels and topped with a transom. 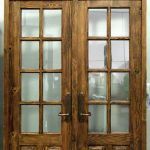 They are made with antique doors and salvaged lumber. 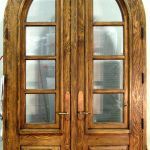 The arched doors, also seen in the picture, feature operable shutters.